The holly and the ivy - 2⅝" (66 mm) high. 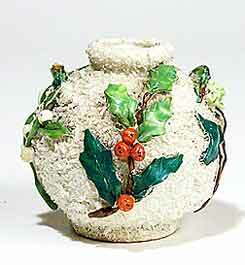 mid-1880s.
. . . and the mistletoe. This vase is in bone china.